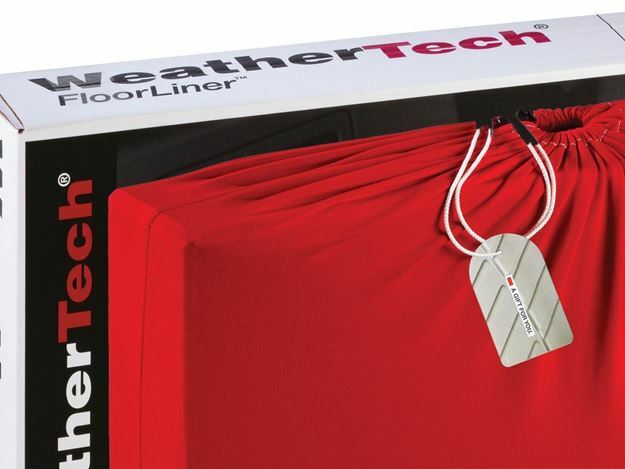 Make the perfect gift even better with this worry-free wrapping, a gift bag exclusively made to fit around the WeatherTech FloorLiner boxes. Made in the U.S.A from high quality American soft Spandex cotton fabric, our gift bag is plush yet strong. Features a scalloped top and white pull rope to completely and securely cover the entire box. We have included a WeatherTech 3"x5" "To/From" card that easily attaches to the package for further personalization. This gift bag is designed to fit all sizes and shapes of our FloorLiners. In most cases the full FloorLiner, All-Weather Floor Mat and AVM All-Vehicle Mats boxes will fit into the bag, however our largest box will not. In that case, we recommend you remove the FloorLiners from the box, and place them directly into the bag.